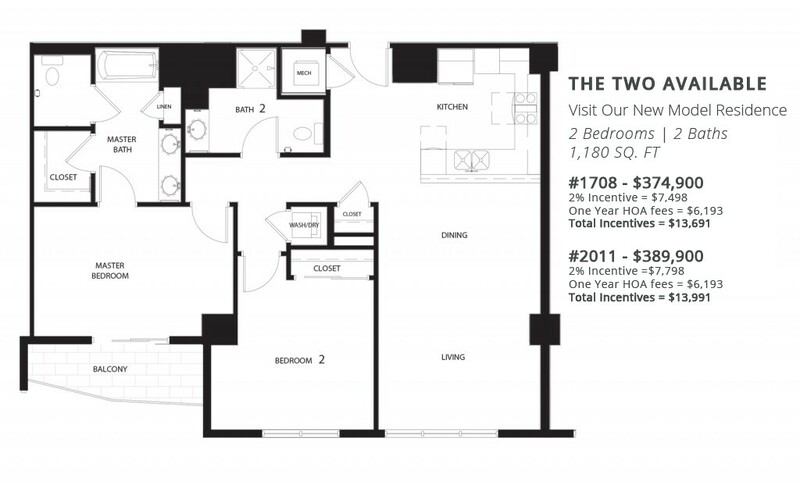 Only two of our coveted 2-bedroom, 2-bath Hesse floor plans, including our newest model home, are currently available, offering sweeping Strip views from high above the city. Each features a generous open floor plan, floor-to-ceiling windows, a private balcony and modern design highlights. Take advantage of our 2% Buyer Incentive and one year paid HOA fees available only on The Hesse floor plans for a limited time. Limited-time 2% Buyer Incentive, which can be applied towards closing costs or HOA dues. Don’t miss your chance to enjoy The Ogden’s reimagined amenities and exceptional lifestyle in the heart of Downtown Las Vegas. Visit The Ogden today or contact a Condominium Specialist at 702.478.4700 to take advantage of this limited time offer. Onsite financing available.